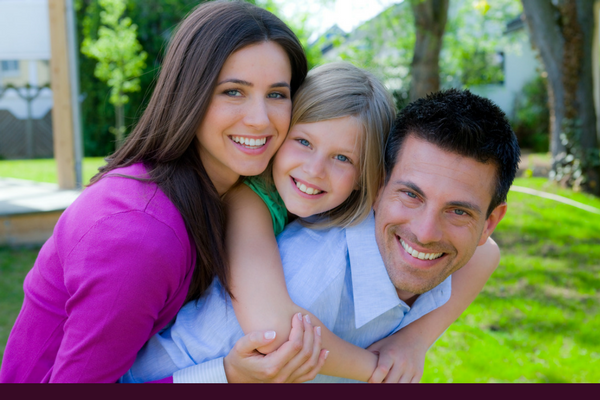 At Serene Oaks Dental we are always on the lookout for anything that will help us give our patients the best dental care we possibly can. Cone beam dental radiography is one of those things, and we are very excited to be able to offer it to our patients. What is cone beam radiography and how does it benefit you? Read on to learn why we are so excited about this new technology. 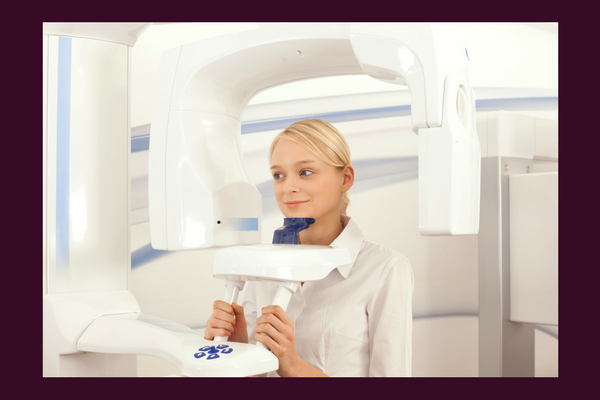 What is cone beam dental radiography? Cone beam dental computed tomography (CBCT) is a special type of x-ray equipment used when regular dental or facial x-rays are not enough. Our dentists use this technology to create three-dimensional (3-D), digital images of your teeth, soft tissues, nerve pathways and bone. It provides a more comprehensive and dimensionally accurate examination, generally for the same fee as a traditional x-ray. Traditional CT scanners use a narrow beam that rotates around the patient. Each rotation acquires one or more “slices,” but there can be gaps in information between each rotation. A CBCT scan collects all the detailed information in one rotation. The digital images are transferred to a computer where our dentists can use software tools that allow image enhancements for magnified viewing and diagnosis. Options also include adding color to contrast different areas and zooming into or magnifying an area of interest. Also, when you talk about x-rays, radiation is always a concern. 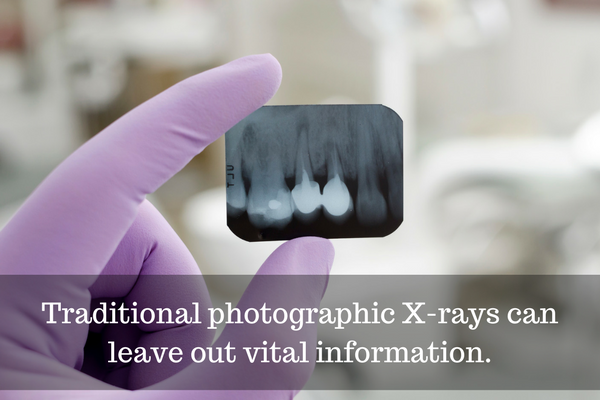 So, you will be happy to hear that radiation from digital X-rays can be as little as 10 percent of what patients would be exposed to with film-based radiography. Additionally, the latest CBCT machines have technology that can adjust the radiation dose by as much as 40% for young, small patients. 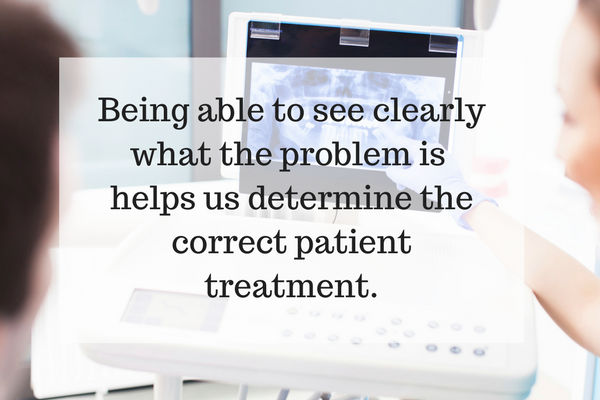 One of the most common uses for CBCT is for evaluating potential implant candidates, which saves them a trip to a medical facility for a more expensive and higher radiation dose CT scan. It can also be used to perform a virtual implant before treatment to ensure a smooth, accurate, and efficient procedure the actual day of the implant treatment. TMJ analysis — CBCT images show bone condition, joint position, and degenerative disease. Locating supernumerary (extra) teeth — CBCT images show the positions of supernumerary teeth and help our dentists see them in relation to surrounding tooth structures. Periodontal evaluation — our dentists can see any bone defects associated with periodontal disease. Obstructive sleep apnea — allows analysis of the airway. You can see why we are thrilled to be able to offer our patients an advanced technology that offers so many benefits. Call our office today at (651) 288-3111 or contact us online to schedule your next appointment and we promise you will receive 4-star treatment with only the most advanced technology and quality care.